Gobo is great for anyone who is vegan, dairy-free as well as gluten-free. The food is made with your health in mind with fresh, wholesome ingredients but doesn’t sacrifice on taste. It’s extremely accommodating with people who want to make modifications to dishes for many dietary restrictions or just preference. 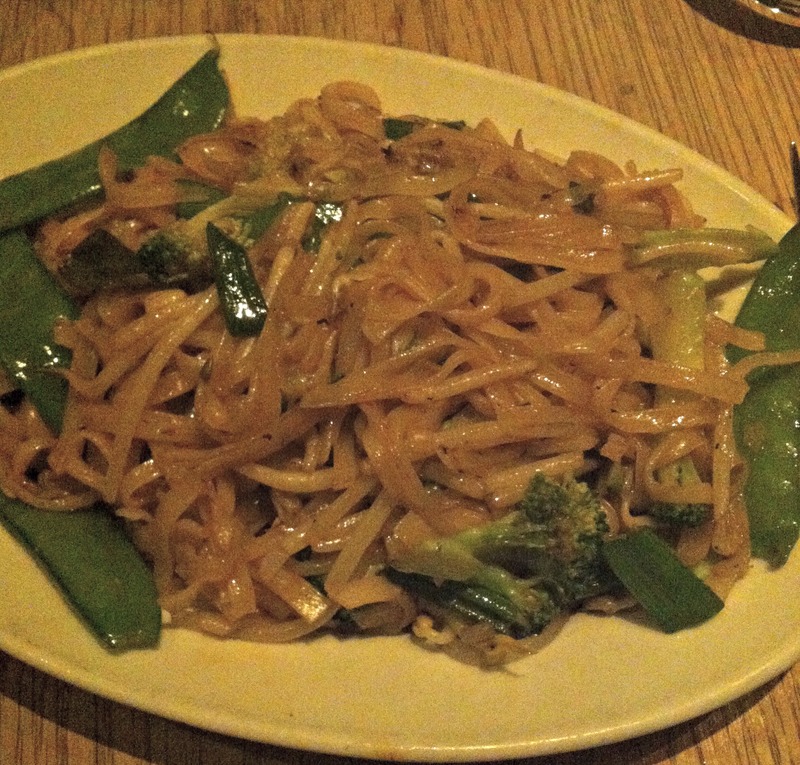 The menu is full of gluten-free options from soups, noodle dishes, spring rolls and more! And as many of us know, it’s sometimes a pain to find variety when eating out, however not here. It’s easy to distinguish which dishes can and can’t be made gluten-free which makes the dining experience much more enjoyable and stress-free. 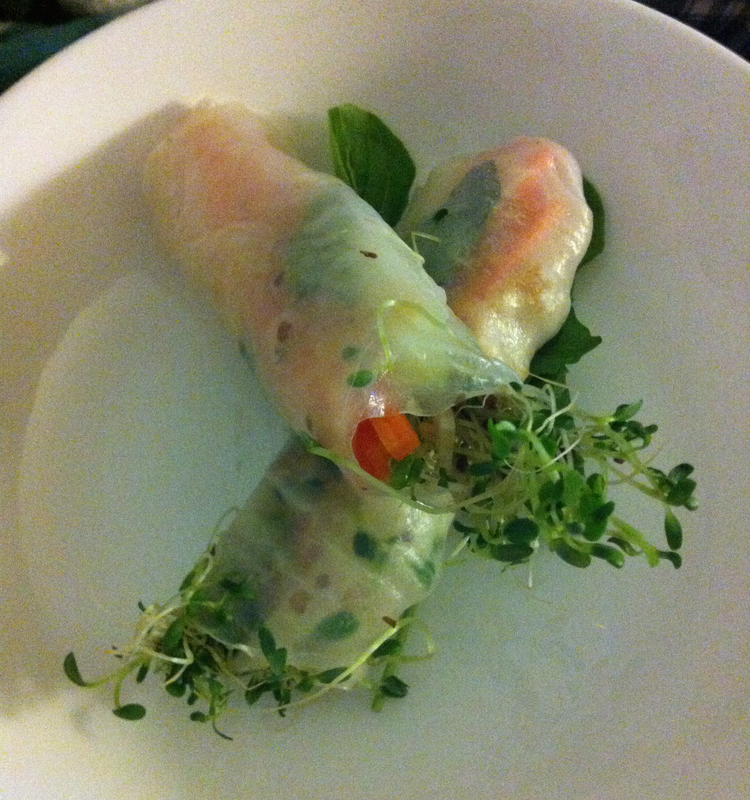 Who doesn’t love spring rolls, seriously? Since being gluten-free I don’t get many opportunities to have them. What’s great about Gobo’s spring rolls is that you still get the satisfaction of having it while at the same time eating something that’s good for you. My favorite thing about the rolls is the addition of basil. You can really taste it which adds a great freshness to the dish. To make these gluten-free, the server just needs to switch out the sauce to a mango based sauce which is really delicious. This is the soup you want to have all winter long, cozied up on the couch. 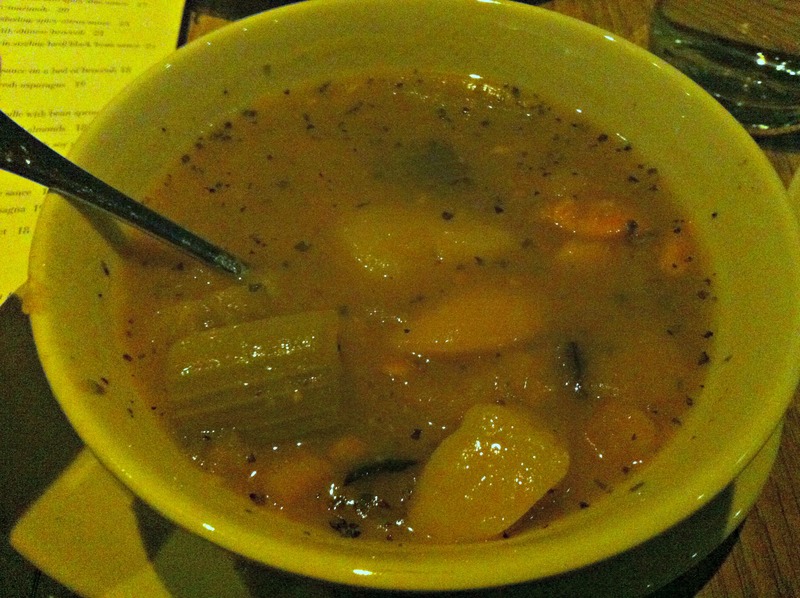 It’s packed full of fresh vegetables that makes it hearty but not leaving you feel overly stuffed. The broth is absolutely delicious. If there’s any left over you’ll want to try your hardest to get ever last sip! It tastes as though it was homemade in my mother’s kitchen. It’s an understatement to say I love this soup. I get it every time I go to Gobo if it’s available. It’s a seasonal dish so it most likely won’t be on the menu all year round. This dish is both vegan and gluten-free. It’s made with soy milk and it tastes amazing! 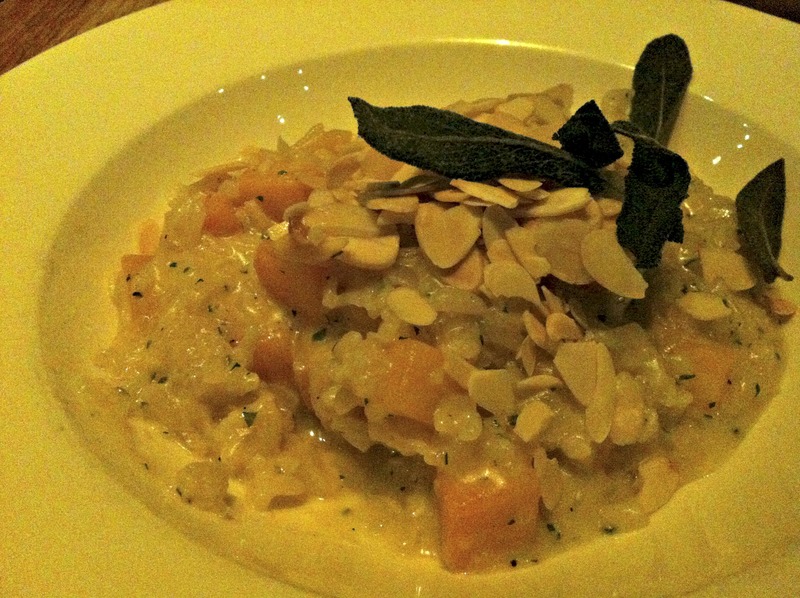 The first time I had this dish I was shocked that it was dairy-free and yet was full of flavor and had all the same creamy, cheesy components of a risotto. I am a big fan of sage in my risotto. Even when I make it at home I always add it. Such a great tasting dish! This spicy stir-fry rice noodle dish is packed full of yummy veggies and a little kick. Unfortunately the tofu for this dish is off limits to us gluten free foodies because its pre-marinated in soy sauce. I even asked for separate tofu that the chef could pan sear and add to the dish however the server said this wasn’t doable because the chef only had soft tofu which wouldn’t hold together. Per recommendation of the server, I requested it to be made more spicy and I’m very glad I did. I love spicy food and even with asking to make this dish more spicy it wasn’t overly very spicy at all. Can I just say that Gobo’s Sweet Potato Fries were a revelation to me. Gobo uses water chestnut flour to lightly coat the fries. It gives them this irresistible crunch and slight sweetness to the outside coating of the fry that’s just heavenly. 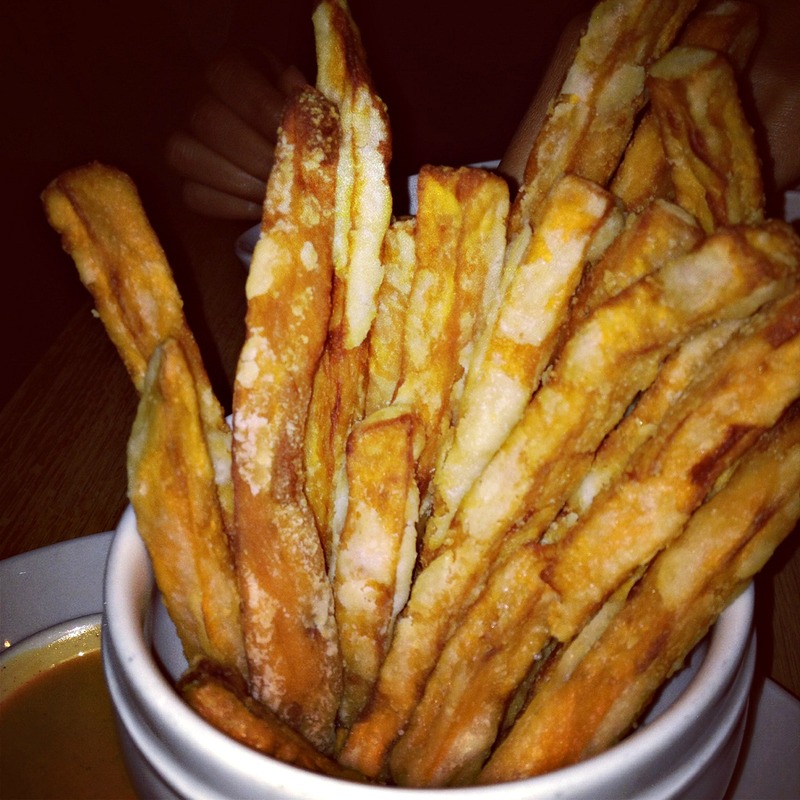 If you go to Gobo and only get one thing, make sure it’s these fries. Love, love, love Gobo! It has so many options to choose from you’ll find yourself being indecisive and not knowing what to get (which is a good thing!) Us gluten-free foodies deserve a place to eat that caters to people with dietary needs and Gobo is that place. It’s modestly priced as well which is a huge plus since many restaurants can charge and arm and a legged for gluten-free food. I hope you enjoy Gobo as much as I do. I usually order take-out at least once a month. Let me know if you go and how your experience is!